As Corey Webster’s European stint came to an end this wee news filtered through that his good buddy Benny Anthony Junior has secured a contract with Plymouth Raiders in the British Basketball League. Currently sitting out the Bartercard NBL due to injury BJ will join former New Zealand Breakers guard Daryl Corletto at the English south coast franchise. The Raiders gained promotion to the top flight of British basketball in 2006 and their best finish was fourth in 2012. The British season begins in September. Mega Leks came mighty close to causing an upset in the semi-final of the Serbian Super League. Just 48 hours after being trounced 109-80 by Red Star Belgrade in game one of the best of three series Leks gave a much better account of themselves in game two.Corey Webster came off the bench to contribute five points as Leks went down by the narrowest of margins, 90-89, on their own court. It was tight throughout the final quarter with Leks having the final shot of the game to tie the series but a three-point effort from forward Marco Keselj failed to drop and Red Star advanced to the Grand Final. The next assignment for the Webster is the invitational training camp with the Indiana Pacers taking place this week. Tall Blacks and Wellington Saints swing man Leon Henry has re signed with the Townsville Crocodiles for the 2015-16 Australian NBL season. In the next few weeks we will be keeping tabs on the form of some of the Tall Ferns trialists. Many are with Australian based clubs playing in the various State Leagues in the country. Just six days after helping Nelson Sparks secure third spot in the Women’s Basketball Championship in Porirua Jess Bygate was debuting for Gladstone in the Queensland Basketball League. Bygate, playing alongside fellow Tall Ferns Natalie Taylor (7pts/11rebs/5assists) and Charmian Mellars (7pts/12rebs), made a significant contribution to the 83-73 win against Northside, claiming 9 boards and scoring 14 points. Out West Lisa Wallbutton (10pts/6rebs) helped Willetton to a comfortable 100-62 win over bottom of the table Lakeside Lightning in the Western Australia State League on Friday night. Unfortunately Megan Craig was absent from the Lightning team as she is nursing a stress fracture to a foot. Twenty four hours later Willetton were back on court at Cockburn Tigers and further strengthened their second (14-2) on the table position winning 78-65. Wallbutton had a strong all-round game with 6pts/9rebs/4 assists/4 steals. 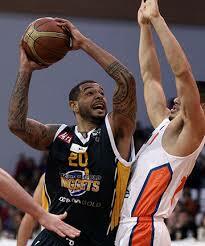 Over in the Big V League Southern Peninsula Sharks (10-3) accounted for Eltham 65-53 on Saturday. Chevannah Paalvast didn’t have her best shooting night (8 points from 3/11FG) but was still required to play 38 minutes, grabbing a game high 9 rebounds. Also in the Big V Samara Gallaher continued her recent good form with 12 points and 6 rebounds for Hume City Broncos. Gallaher returned to Victoria with a WBC championship medal in her luggage after stand out performances for Oceana Gold Rush Otago last weekend in Porirua. The Broncos had no trouble dismissing bottom of the table Sherbrooke 76-33.